They say he yelled ‘I hate Mexicans’ before attacking them with a metal bar. Will this Utah case be considered a hate crime? Update: Charges have been filed in this case without a hate crime enhancement. Jose Lopez was in the office of his tire shop warming up some chicken soup that his wife had made him when he heard his son screaming from the garage. The store on Main near 1600 South had been open for only an hour, and there were no customers yet. Luis Gustavo Lopez, 18, had been tinkering around on a couple of projects while they waited. Jose, 51, had gone in to get warm and eat breakfast. Microwave ajar, he set down the plastic bowl and ran to the front door. A man was standing in the courtyard of the Salt Lake City mechanic shop with a metal bar in his hand that looked like it had been plied off a stop sign. He was yelling slurs at Luis and threatening him. Jose stepped in front of his son, and the man began swinging the five-foot pole. Luis grabbed a bar from a tool chest and tried to defend his dad. The man slugged the teen in the face, knocking him unconscious, and then started to beat him. Trying again to shield Luis, Jose got hit in the arm and the back. His brother rounded the corner, coming to check on the noise, and scared the man. He bolted. And they called police. The attack at Lopez Tires happened Tuesday about 9 a.m. Salt Lake City police say it’s too soon to know if the case will be handled as a hate crime. But they’ve arrested the alleged attacker, Alan Dale Covington, 50, on suspicion of two counts of aggravated assault. “Why he did that, why he went in there, it’s unknown,” said Officer Jess Perea, noting the case is being investigated. Salt Lake City police Detective Greg Wilking said Friday that it now appears the man was under the influence of drugs during the attack and had “some mental health issues" that “clouded his judgment.” Covington previously spent time behind bars, Wilking added, and was particularly concerned during that time about being attacked by a member of the Mexican mafia, which is a prison gang in the United States (mostly based in California). Wilking also said the officers who responded to the scene wrote in their report that Covington’s comments focused mostly on the mafia. The Lopez family blames at least some of the motivation for the slurs on President Donald Trump. Tensions over race and ethnicity have played out across the nation since his 2016 election, fueled by his hard-line views of illegal immigration. Trump has specifically called immigrants coming from Mexico “rapists” who bring crime and drugs. And he’s repeatedly tied the country’s residents to violent gangs. Veronica Lopez said her family hadn’t heard many slurs in Utah before he took office. Now, she added, they’re not surprised that this attack happened. Even in Salt Lake City. “You just hear more of it now,” she said. A woman in Los Angeles, for instance, is accused of beating a 91-year-old man with a brick in July and telling him to “go back to your country.” A man in Louisiana allegedly shouted “go back to Mexico” at a woman in September and then pushed her mother to the ground. Luis Gustavo Lopez was hit so hard at the Salt Lake City tire shop that it shattered his cheekbone and eye socket and collapsed his sinus. He’s been in the intensive care unit since and had a titanium plate implanted on the right side of his face. Jose Lopez, who has owned the tire business for four years, immigrated to Utah from Mexico. He said through his daughter that he had never seen Covington before and had no idea how the man knew about his family’s nationality or why he came to the shop. Police say Covington harassed employees at a salon two doors down before stopping at the tire shop. Covington has a lengthy criminal history, including felony counts of assault and domestic abuse. 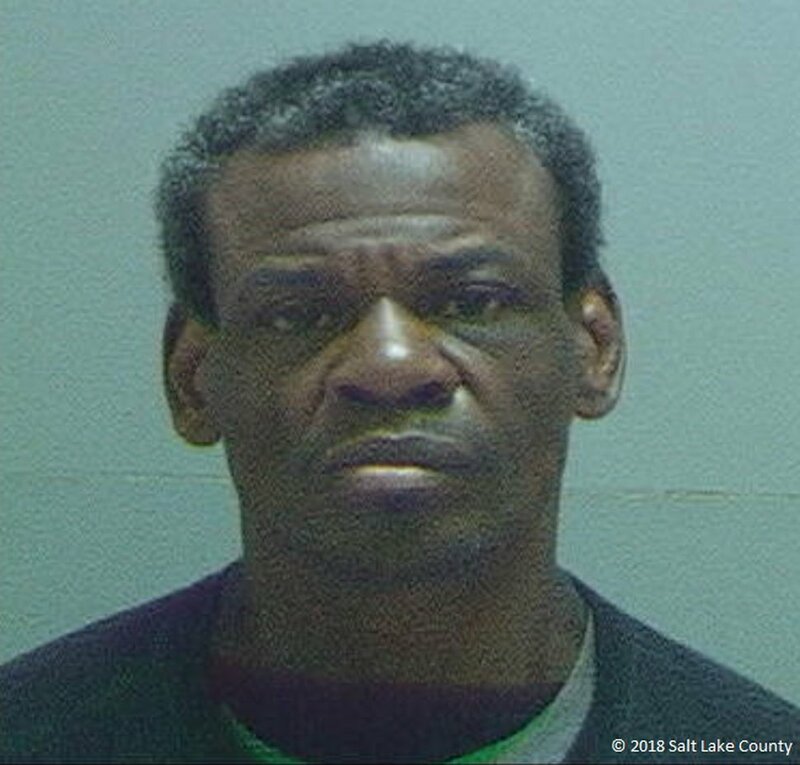 He is being held in the Salt Lake County jail. Jose needed eight stitches in his arm and has a bruised back but is otherwise recovering. Veronica Lopez said Covington threatened to come back and worries that her father is “not even safe at his own business now.” She’s started a GoFundMe to raise money for their medical expenses. Jose’s shop, the family’s primary source of income, has been closed since the attack. His soup is still sitting, uneaten, on the counter.